If you need tips on how to easily and affordably get around Paris, make sure to download our 2019 INSIDR Paris Transportation Free Travel Guide! Orly airport is the second biggest airport in France. Located South of Paris at approximately 20km / 12 miles. Most of national flights and low cost European flights are operated from Orly Airport when CDG airport operates international flight for the most part. To get from Paris Orly Airport to Paris city centre is easy and fast. There are several options – read on to discover all of them. 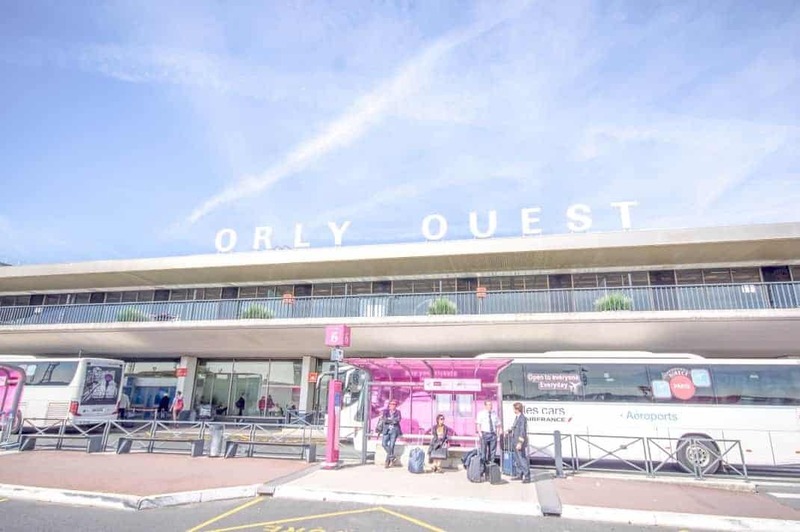 As you exit the airport, look out for signs for the Orly Val- this shuttle service takes you to Anthony RER B stop from where you need to change to the RER B suburban train that will get you to Paris. You will have to buy a Paris Visite ticket (daily unlimited pass) or a one way ticket for €12.50. The train goes through the centre of Paris and will stop at the following stations- Gare du Nord, Chatelet-Les Halles, Saint Michel-Notre Dame, Luxembourg, Port Royal, Denfert-Rochereau, Cité Universitaire. This is the easiest and cheapest way to get to and from Orly airport to Paris city center. The bus leaves from the “Place Denfert-Rochereau” (directly in front of the exit for Denfert-Rochereau station). The cost is only €8 one way and the journey time is between 30-40 minutes, depending on traffic. The buses leave every 15 minutes. The first bus from Paris is at 5.35am with the last one leaving at midnight, and in the direction of Orly to Paris – the first one is at 6am with the last one leaving at 12.30am. For catching the bus from Orly, the bus departs from Orly Sud gate H platform 4 and Orly Ouest gate J level 0 – arrivals. The Navigo pass découvertes (for zones 1 to 5) works on this bus! Read more about Transportation in Paris and tickets fares here. Another easy service to try is Le Bus Direct. The bus starts from Place de l’Étoile and makes stops at Invalides and Gare Montparnasse before arriving at Orly West and Orly South. To get to Paris city from Orly , the bus starts at Orly West and Orly South, makes stops at Invalides and Gare Montparnasse, before arriving at Place de l’l’Étoile. It will always be less than 30 minutes to wait for the next bus in each direction! The first bus which leaves from Paris for Orly airport from Place de l’Étoile at 5:00 am, and the last one leaves at 10:40 pm. In the other direction, the first bus leaves from Orly airport at 6:00 am whereas the last one leaves at 11:40 pm. You can also take a private taxi from the airport to Paris city. The signs to the taxi stand are well places all over the airport and you have to wait in the line to take a taxi. In 2016, the rates were revised and now there is a flat rate from the airport to the city. That means if you’re travelling from the Orly airport, you’ll pay €30 for a trip heading anywhere on the Left Bank and €35 for anywhere on the Right Bank. INSIDR TIP: If you have booked an INSIDR phone you’ll have the application Le Cab and Uber to help you book a taxi from the airport to your destination. Read our article on how to get from Charles de Gaulle Airport to Paris City Centre centre!